This year, Northsiders have likely noticed new faces in the computer science department. After the departure of Dr. Vincent Nguyen and Dr. Smadar Bergman, Mr. Steven Svetlik, computer science department chair, and Ms. Erica Roberts, computer science department, have joined the Northside community. Growing up, Ms. Roberts did not know that she would become a computer science teacher. She grew up in Long Island, New York and attended Huntington High School. According to Ms. Roberts, her school was much bigger and older than Northside, although Northside offers substantially more courses than Huntington did. After graduating high school, Ms. Roberts decided to enroll at New York University. Initially, she wanted to become an attorney and was on a pre-law track with a major in American history and political science. During her junior year, she realized that she did not want to be an attorney, and instead picked up several other courses to find her passion. Ms. Roberts said that she stumbled upon computer science purely upon chance. While enrolled in a class that she had only taken because she thought it would be easy, her professor taught the class how to program and she fell in love with it. She decided to minor in computer science that year. Ms. Roberts loves teaching computer science because it allows her to stay up to date with technology and she enjoys working with students. After teaching for 16 years, she has joined the computer science department to teach Exploring Computational Thinking, Web Design and Mobile App Development, as well as Java and Media Computation. Prior to joining the Northside community, Ms. Roberts worked at the Wolcott School, a private Chicago school for students with learning differences, and taught AP Computer Science Principles. 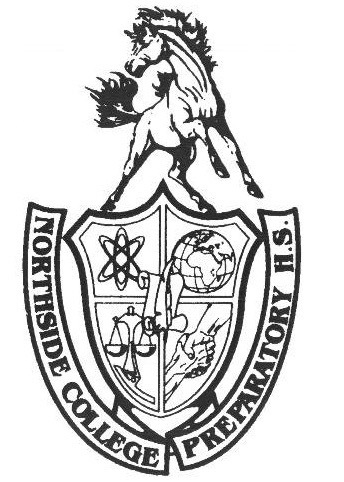 After rumors began circulating as to the possibility of a new AP Computer Science course at Northside, Ms. Roberts confirmed that she and Mr. Svetlik are trying to bring AP Computer Science Principles to Northside for the 2019-2020 school year. After talking about colloquium offerings, Ms. Roberts said that she’d be interested in teaching students about the history of Chicago. She took a course on the history of New York while in college and thinks a similar course about Chicago would be a great way for her and her students to learn more about Chicago. Some of her plans include reading Upton Sinclair’s “The Jungle” visiting old meat packing plants, going on tours, and looking more closely at Chicago’s architecture through field trips. The Hoofbeat tried switching up the typical questions by asking “cats, dogs, or lizards?” As expected, lizards wasn’t considered but she was torn between cats and dogs, as she has two of each, but ultimately decided on cats. As a computer science teacher and always around technology, we had to ask “Do you play Fortnite?” Unfortunately, Ms. Roberts said she did not have enough time to play (however, Ms. Roberts did mention that she plays Words with Friends on her phone). Ms. Roberts also said that if she were to pick a favorite ice cream flavor, it would have to be chocolate or coffee. Be sure to give Ms. Roberts a warm welcome and look out for the possible new AP course and colloquium. Sep 25 Mr. Svetlik, Your Deli Meat is Ready!